Renovating your home, or building from scratch? 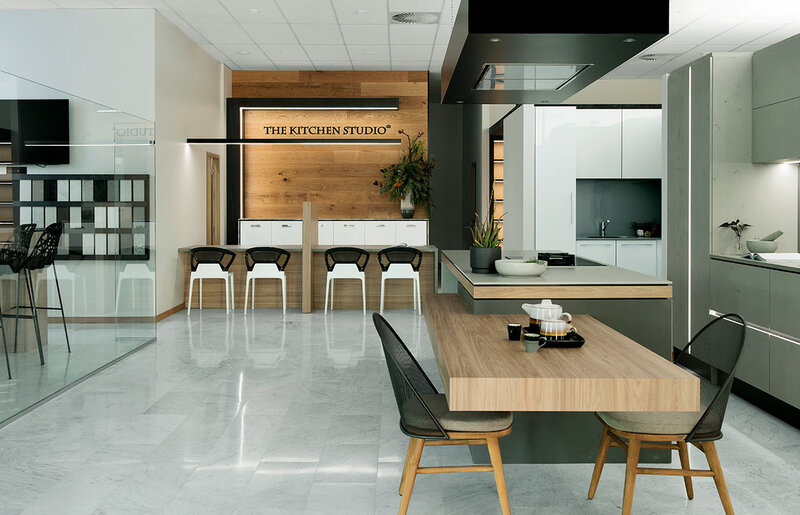 Why opt for mass-produced cabinetry when you can engage a team of master cabinetmakers with over 25 years’ experience creating bespoke, custom-made cabinetry inspired by design trends from around the globe, right here in Western Australia. Being local means we’re with you all the way. When you engage The Kitchen Studio, you deal directly with our team of experienced designers and master cabinetmakers, from the initial consultation through to the unique design, manufacture and installation of your dream kitchen, bathroom, theatre, luxurious walk-in-wardrobe, alfresco area and so much more. Being a one-stop-shop, we deliver faster build and installation times and greater control over the entire process. We love thinking outside the box, and promise attention to detail, custom finishes and innovative solutions every step of the way. Come into our design showroom to explore the latest international trends as interpreted by our in-house craftsmen and take advantage of our fully integrated design and selection service. We can work with you in the studio to create truly bespoke cabinets designed to uniquely suit your living spaces. And if you don’t require our full design services we also love collaborating with architects, builders and interior designers. Visit our new showroom, now open on Stirling Highway (Corner Rockton Road) in Nedlands. Visit us at our new fully integrated design showroom and selection centre to see first-hand our exquisite craftsmanship and bespoke designs made right here in Western Australia – it’s a one-stop-shop where customers can book a design consultation, see our range of materials, browse products from our suppliers and choose colour schemes. Looking to start your project, lets talk!